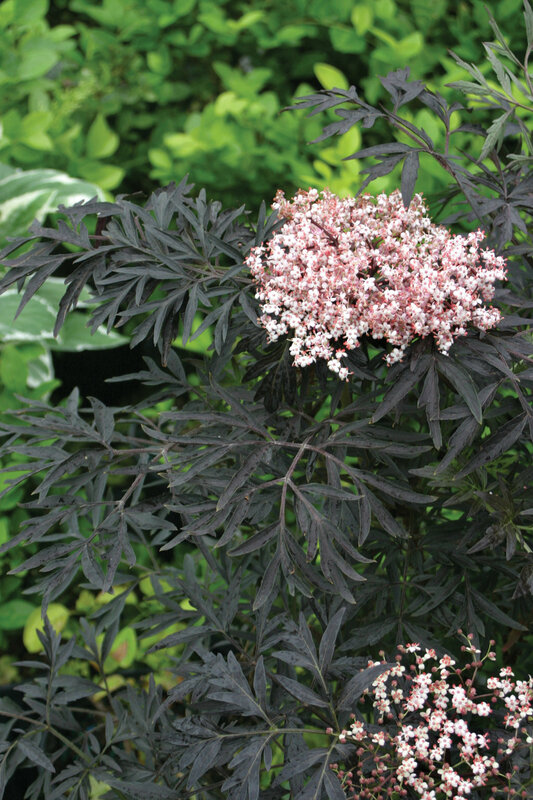 Black Lace® elderberry is a perfectly stylish addition to your landscape. 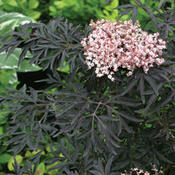 Intense purple black foliage is finely cut like lace, giving it an effect similar to that of Japanese maple. 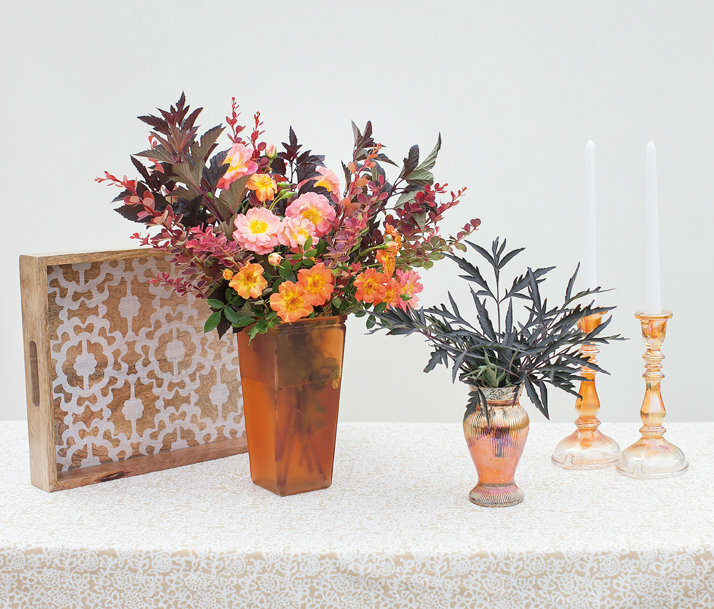 Indeed, some designers are using it in place of more sensitive plants since Black Lace is extremely durable and adaptable. Pink flowers in early summer contrast with the dark leaves for a stunning effect and give way to black berries if a compatible pollinator is planted nearby. Awards: Silver Medal, Royal Boskoop Horticulture Society. 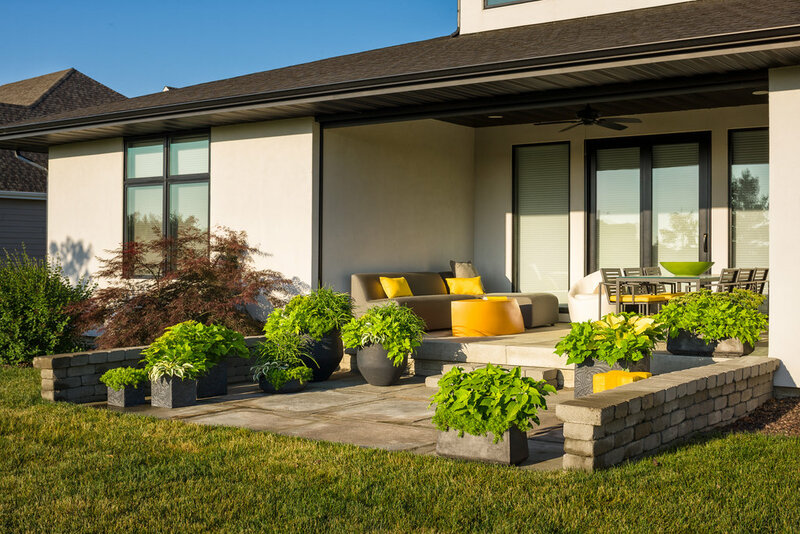 This beautiful, versatile shrub works in just about any landscape setting or as a potted shrub on the patio. 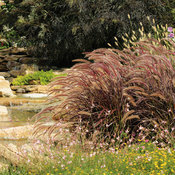 Good in groupings or masses, or perennial and shrub borders. Makes a nice specimen or screen. Good in wet soils. According to the Humane Society of America, elderberry can be toxic to pets if consumed. Best in moist soil although will tolerate dry soils. Thrives under acid or alkaline soils. Best if pruned immediately after blooming. May be pruned to the ground each year and grown like a perennial. 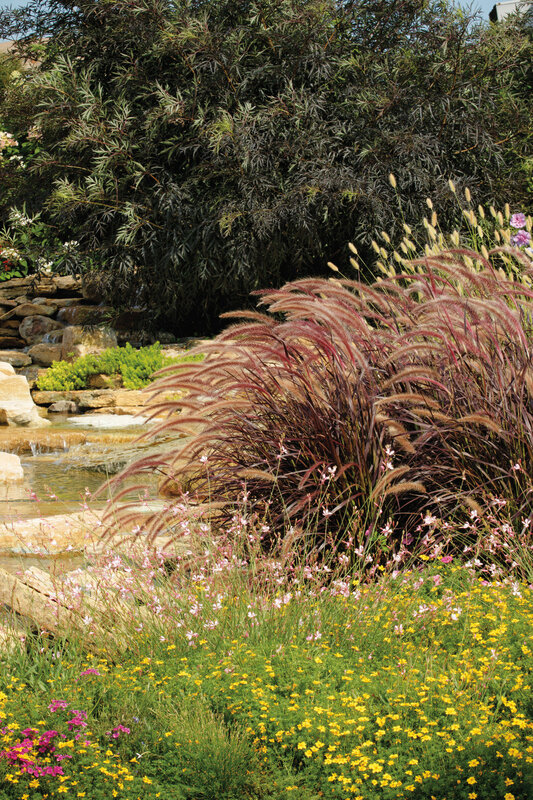 Fertilize in early spring by applying a granular fertilizer formulated for trees and shrubs. Follow the label for the recommended rate of application. The color on Black Lace elderberry is best in cool climates; in hot areas, it may grow primarily green foliage. I planted two four years ago in SE WI - zone 5/6 and they struggled after the first winter. We also have a deer problem and they have their way with them each late winter/early spring. This spring, I do not think they are alive anymore. They kept getting smaller each year. Love their look but they cannot grow here. I purchased five of these and only three survived the first winter (zone 5a). What I found interesting is that the garden center where I purchased them said he had heard these had a tough time surviving in our zone and would get smaller and struggle each year, if they survived at all. I found that odd since they are hardy to zone 4. But it seems he was correct. I purchased them anyway because of the way they look and I wanted elderberries. Fast forward to the second season and the 3 remaining plants and they barely have one stem each. I was so excited for these plants but they truly disappointed. I am a avid gardener (over 30 years) used to do professional landscaping and used to own a garden center but I could not grown these in my zone. I am guessing these will not survive the winter. Did not last long, I followed the instructions on how to grow, and it failed to thrive, has not rebloomed any leaves this year, and I am unsatisfied , and unhappy. I live in Scotland and this plant performs really well, considering our sometimes bad winters. This is the second time I have purchased "Black Lace" as we moved home and I had to leave my original one. I also have "Black Lady and a really beautiful Sambucas Sutherlands Gold. The Black Lace sits beside the Sutherlands Gold and the foliage of both intermingle with great effect as both have the lacy foliage. With the lime green new growth and soft pink flowers, this dark plant is one of my favorites in the garden. I have planted roses nearby to compliment the pink. I love the look. Bought this plant 2 or 3 years ago because it was supposed to be an ideal plant for our site ( windy, exposed ). There is no argument that sambucus nigra is absolutely stunning and beautiful. We did enjoy its performance those first years and it did remarkably well. However, I ended up pulling it out this year because it was doing absolutely nothing after a very harsh winter. There were only dead branches and the buds never swelled as they had before in the spring. It is apparently not as cold hardy as promised on the label.? Leaves have the look of a japanese maple but on the darker side, fast growing, and produces clumps of small flowers. An eye catcher for anyone passing by. Highly recommended and low maintenance. Beautiful accent plant for my perennial bed.